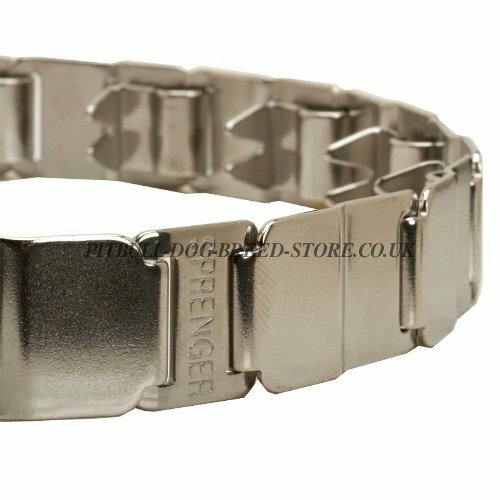 This Herm Sprenger neck tech prong collar is perfect item for Staffy obedience training, stop pulling and solving problems with dog's aggression. 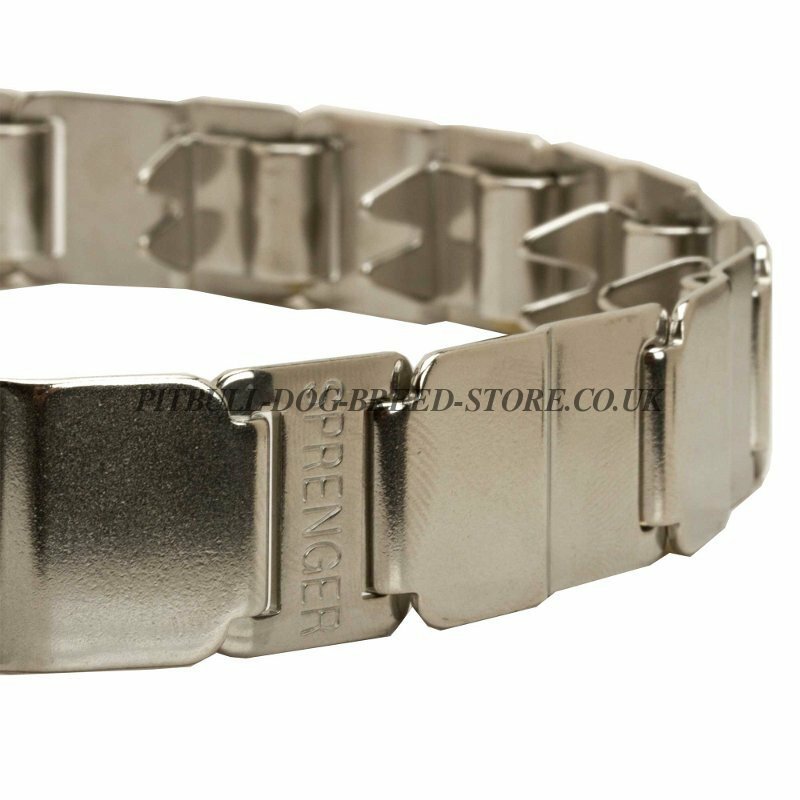 The neck tech dog collar consists of evenly arranged well-polished prongs. 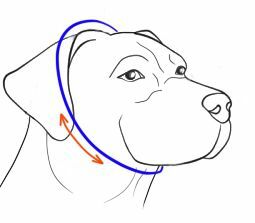 These prongs pinch to the skin on the dog's neck and provide training effect, working not through pain but through instinctive dog's behavior. The prongs don't hurt the dog`s neck and don't damage its hair. Be sure, you order an effective dog training tool for your Pitbull or Staffy. This dog collar will fit a dog with neck size 19 inch (48 cm). If the neck size of your dog is smaller, you need to remove some links. 1 link is 1.2 inch (3 cm). 1. Hello, I received the collar today and I must say was well worth waiting for. Thank you for your patience. I will order from you again and will recommend to my friends, Thanks. 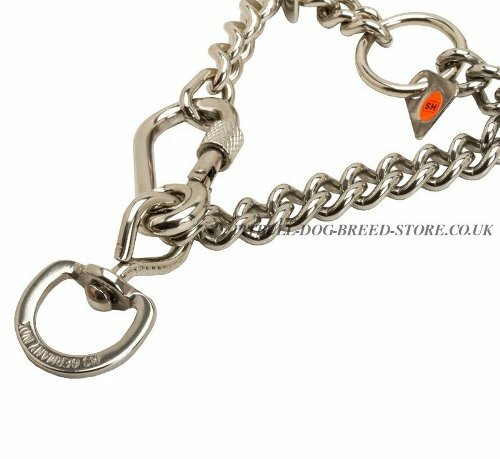 If you need extra links for this neck tech prong collar of stainless steel, you can choose them on the top of the page or purchase these links in our online shop. 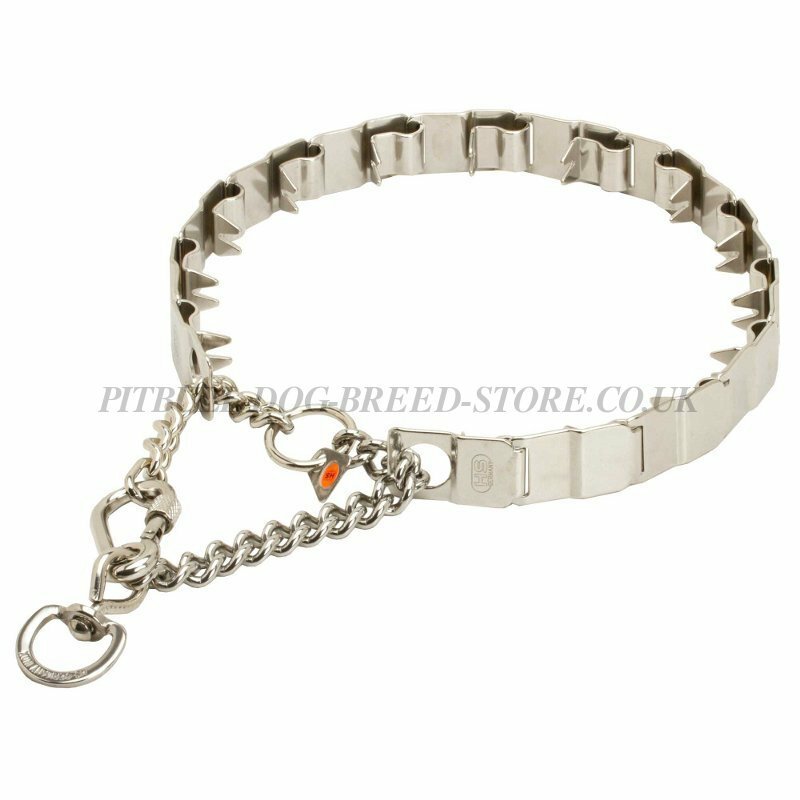 See our collection of chain collars for Staffy and similar breeds. You can also read our article about dog walking.